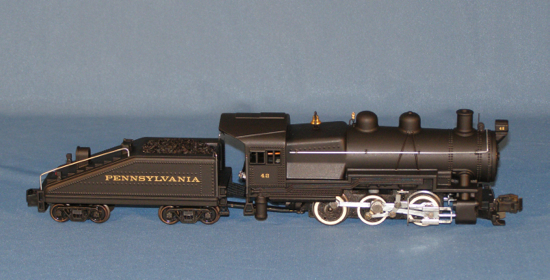 Another Gilbert American Flyer locomotive that I like is the Pennsylvania Railroad 0-6-0 B-6 switcher. I liked this locomotive from the time it was first offered by Gilbert back in 1957/8. Being a kid at the time with no income it was beyond my ability to buy one. In fact I did not get one until the 1970s (paying a much steeper price than the retail prices back in the 50s). But the 21004 and 21005 locomotives in my collection were in too good a condition to run. Besides, the Gilbert motor and two cycle reverse unit (and the curtain covering the motor-mounted e-unit) did not work as well as I would like. So I recently managed to buy a pretty well beat up 21004 that I could fix up for operation. The one I found had a broken cylinder/steam chest piece, broken air tank under the cab (on one side), crack in the boiler casting at the cab, broken step on the tender and numerous other issues (operational and well as condition). So, I bought a reproduction cylinder set and brass castings for the tender steps, generator, bell, whistle, and air pumps. I removed the cast-on details on the body shells and generally cleaned them up. Then I installed the cast pieces and painted everything. 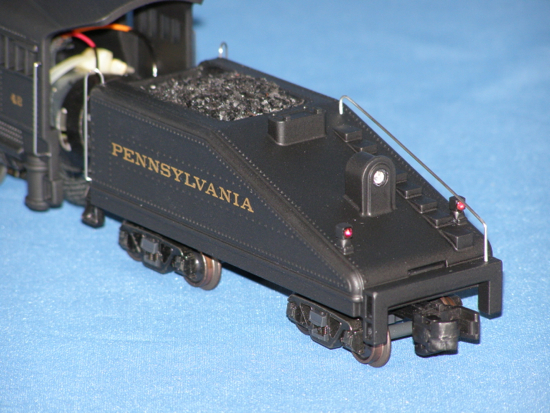 I also added marker lights with Gilbert-type jewels on the locomotive pilot beam and replaced the cast-on marker lights on the tender with marker lights with red jewels. I applied scale decals and PRR numbers. The Gilbert motor was replaced with a can motor (the short SnS 0-8-0 motor fits in this locomotive rather nicely). 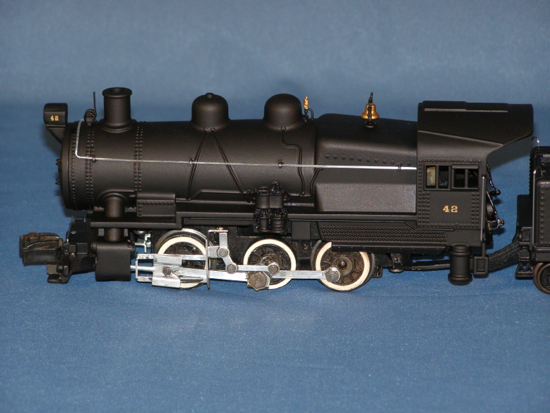 I painted the exposed parts of the motor black to make the motor blend in with the rest of the locomotive. I installed LED lights in the locomotive and tender (both are directional) and an electronic e-unit in the tender. The Gilbert trucks were replaced with S-Helper Service tender trucks. The all-wheel electrical pickup feature of these trucks eliminates many operating problems and unplanned reverses. 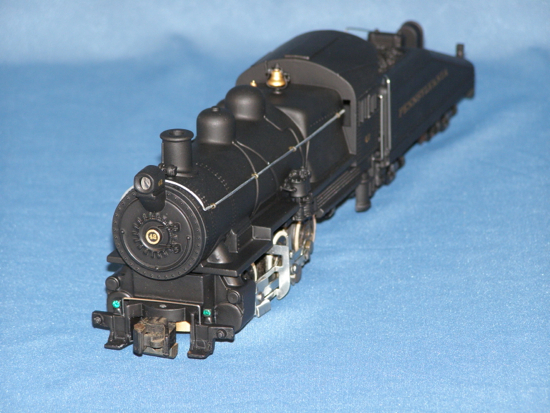 This project turned out very well and I have another of my favorite locomotives operating on my layout.